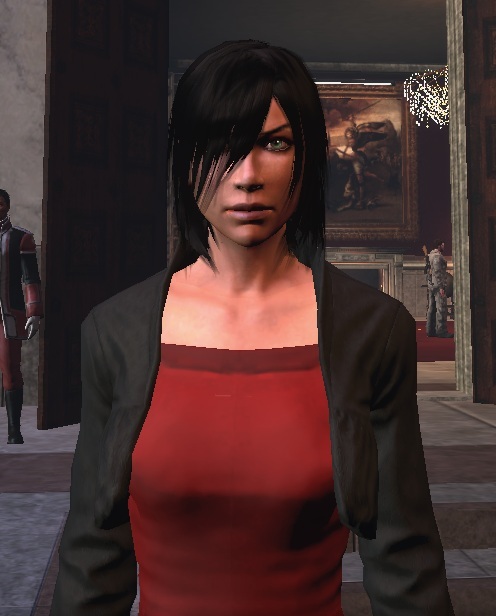 I have to agree with Syp on this one — Funcom lets you make some pretty freakin’ hot female characters. Well, at least I think mine’s also looking quite attractive. I asked my husband what he thought, and also my dad and my brother who are in town at the moment, and since the three of them agreed as well, I’m just going to go with that. However, I don’t understand why in order to have long hair in an MMO, you often have to settle for that saucy, windswept look. Meet Tamerlaine “Laeyn” Berard. Wait, I think I got that right. Ironically, I went through all this trouble yesterday coming up with a name for RP purposes, going so far as to spend an hour on the internet doing research and getting ideas, but now I can’t even remember exactly what I decided. My brother prefers to just call her “the grad student”. The server is Arcadia and the faction is Templar. 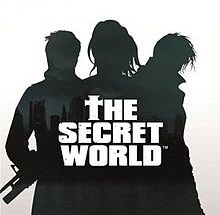 I was really surprised yesterday when I looked around and saw what appeared to be way more people I know playing The Secret World than I expected, like quite a few more than the 3 or 4 I’d originally thought. Anyway, this led to a handful of us from the Republic Mercy Corps forming a cabal called the Knights of Mercy. It was made mostly for social purposes, in order to provide us and our friends a network and a home while we’re in TSW. Star Wars: The Old Republic will continue to be our main game, and come the end of August I think most of us will also be looking forward to playing a certain MMO. But if you’re interested in a casual play style and don’t mind being around a bunch of crazy people (but seeing as our ranks have already swelled, apparently you all don’t mind the crazy), feel free to look us up in game. Give me a holler here with your character name, or keep an eye out for the folks with invite privileges: Paganrites, Eleison, Nadea, and of course me, Laeyn. Update: Yeti and Tarantella are also now amongst those with invite privileges. Zombie killling-wise, I’d say my sentiments echo his, but I do have my misgivings about the clunky feel of combat. Still, it’s something I can see myself easily getting used to. 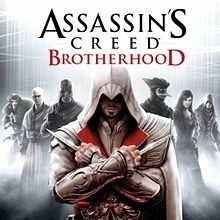 More importantly, I feel it’s a small price to pay to experience this unique game with its mystery-driven story and incredibly atmospheric setting, and I wouldn’t be surprised if that’s where Funcom has focused most of its efforts. 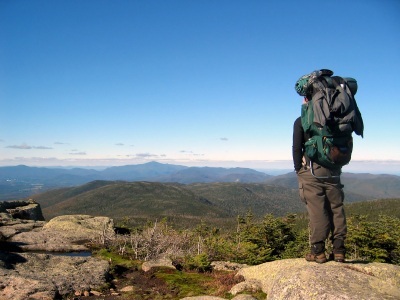 I’ve seen people describe themselves as getting “lost” in TSW, and I have to agree with that feeling wholeheartedly. I look forward to playing in the early access this weekend — Templar on Arcadia. I’ve been dabbling in this MMO ever since I bought it for half-price earlier this month. I have to say combat in this game is drastically different from all other MMOs and is very engaging. Graphically, it’s also a feast for the eyes. Still, I’m not feeling the motivation to play it much. I’ve been trying to figure out why I’m not making the connection because I don’t think the reason has much to do with the gameplay, which I actually find quite enjoyable. It galls me to admit that it might be due to the art style. Maybe I’m just being shallow, but you’d be surprised how much something that could have an impact on my experience. I’ll probably go into it a bit more in a separate post at a later date, but for now I plan on getting the most out of my free month and we’ll see where I’ll go from there. 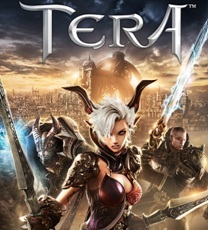 This is still my MMO of choice, and will probably remain so for a while even when newer games this year will come out and vie for my attention. Patch 1.3 was released earlier this week on Tuesday, and I had been looking forward to checking out the updates it offers. I haven’t really had a chance, though. For the last few weeks, I’ve been playing on the Imperial side almost exclusively, concentrating on leveling up that Bounty Hunter I’ve always wanted, the class I’d dreamed about ever since the game was announced. Coupled with my husband’s Sith Warrior, we’re steadily making progress towards level 50 and I hope we can keep up the pace, as level-capping her is currently one of my MMO goals. Right now we find ourselves on Hoth, on the cusp of wrapping up Chapter 2. I swear, I’ve had this game and AC: Revelations sitting on the to-play pile still in their original wrapping since…damn, I think November of last year. In fact, I think I picked them both up during a Black Friday deal, telling myself that I’d better get it now at a good price since I had definite plans to play both at some point anyway. Famous last words. Incidentally, that’s also how I ended up with my unmanageable Steam to-play pile. Okay, so it was probably a terrible, terrible idea to start this game Monday on the eve of the Skyrim: Dawnguard DLC and Mass Effect 3 extended cut releases, but I had a feeling deep down that if I didn’t open that box like right now it was never going to happen otherwise. And so, I spent the day playing Ezio and getting used to climbing walls and shoving around civilians again. I also discovered something about myself: I am way too impatient and bloodthirsty to make a good, stealthy assassin. No spoilers. I downloaded the extended cut for the ending first thing Tuesday and fired up my last save point that afternoon in order to see the changes. However, this time around I decided to choose a different ending, opting for red instead of green. Then, I watched the other endings on YouTube. As you may know, I’d just finished the game earlier last week, with the original ending. I had a friend tell me that I should have waited for the extended cut to arrive before I did, but after seeing the new ending I’m glad I didn’t. Having played the original version so recently made me appreciate the new one all the more. It really emphasized for me my problem with the old one in the first place — not the actual events of the ending itself, but instead just how lazily the entire sequence was executed. The new ending fleshed out the story, explaining some of the ramifications and the fates of my squadmates and friends. More importantly, it had feeling — which was what I felt was lacking in the original. I was almost brought to tears in the final moments, and that’s when it hit me: the storytelling is what I like most about these games, and the emotions they evoke. It’s not the what but the how, as in this was how the story should have been told, in the BioWare way that I know and love. No spoilers. This week, I made my return to Tamriel in order to play the new DLC (I own the game for the Xbox 360). Thanks to the new content, I get to be a vampire lord! Er, a very nasty and ugly vampire lord, as in no one will be swooning over me anytime soon. Disappointed to say that playing as a vampire lord is a bit of a pain though, and I’ll probably only do as much as it takes to get my vampire perks, then go back to fighting and adventuring in my Nightingale gear. 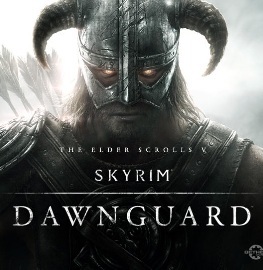 Uh, back on topic, so far I’m liking Dawnguard. Still, I’m not sure if it will be worth the money for some. As most expansions like these go, there seems to be one main quest line driving the entire thing, spruced up with some goodies like new weapons and locations, etc. on the side, but not much else. It also makes the gameplay feel more linear than I’m used to getting from Skyrim. You do, however, get to go deeper into the lore of the game, which is one of the strongest aspects of the Elder Scrolls series and incidentally something I happen to really enjoy. Three and a half months later, I am finally finished with Mass Effect 3. I know I’m late to the party, but I wrote this post anyway because I was immediately asked left and right about my thoughts on the ending. Obviously, the rest of this entry will contain spoilers, so if you still wish to avoid them, feel free move along; I’ll understand. I myself have been dodging spoilers like a madwoman dodging missiles in a Michael Mann movie since March. So here goes. After all that I’ve heard, I braced myself for the ending. From the hubbub, you’d have thought BioWare committed the worst travesty of travesties when it comes to the final moments of the game. Now why do I feel like I’ve been punk’d by the entire internet? As the final scene after the credits played, I found myself staring at the screen and thinking…what the hell, it wasn’t that bad. I sought to do some post-game research and discovered that those who dislike the ending mostly fall into one of two categories. There are those who hate it because it’s weak in providing different endings (read: there is essentially only one ending.) Okay, point. In this, I am in complete agreement. Especially after seeing that video, changing the colors in the cutscenes to make things feel more different is like rubbing salt in the wound and reeks of laziness. However, with regards to the second camp, or those who are upset with the game because they wanted a “brighter” ending? What? Why? The hell with that, I say. A not-so-happy ending does not a sucky ending make. Some of the best stories ever told have “crappy” endings. The Fox and the Hound. One Flew Over The Cuckoo’s Nest. Romeo and Juliet. Pretty much almost everything written by Thomas Hardy. Somewhere in the middle of playing the second game, I think that’s when I realized the Mass Effect series is one of those stories. In fact, I made up my mind right then and there in January of 2010, that this is the only way things could possibly end. The best case scenario could only be bittersweet. Maybe deep in my heart I’ve always known it, expected it. It’s not just because of the “hero always dies” trope. It’s just that after three installments, I knew that Mass Effect has become so huge that to demand the “perfect” ending is an act of futility (or a programming impossibility). In such cases, perhaps deeply unsatisfactory and confusing story conclusions which lead to speculation, rage, etc. are an inevitability, and if I’m to ask my inner cynic, possibly even intentional. Because hey, they got us all talking about it, didn’t they?! If their goal was a memorable send-off, well then bravo, they’ve done it. So ultimately all the choices I made over the course of all three games didn’t really have a smidgen of impact on the final ending, but I can’t really say it broke my heart. Let’s keep things in perspective; the ME series was never open-world, open-ended, open-anything. There really wasn’t ever that much choice to begin with, even going back to the first game (making Sophie’s choice with Ashley or Kaidan, anyone?) Always, I just made my FemShep do what I felt was best, and I am content with the result — even if that turned out, in the bigger scope of things, to be the only result. Despite that, I’ve been allowed to make dozens of decisions that changed my journey in myriad ways. The game’s appeal has always boiled down to forcing you to choose between a rock and hard place and then living with the consequences; for me that means no going back to an earlier save or “do-overs”. I’ve celebrated my smart choices, and likewise suffered intense regret from the not-so-smart ones. But all those choices, both good and bad, were mine, dammit. I lived with them, carried them with me. In the end, it’s BioWare’s prerogative to write whatever ending they want, but for me it’s the entire experience that matters. I don’t think that would have changed, even if they’d decided to throw dog’s vomit into the last few minutes of the finale. Still, while I’m not dancing with joy over the ending to ME3, I’ve nevertheless embraced it. And that’s not necessarily to say I didn’t like it, because I think I do, in fact, like it. What can I say, I have a soft spot for downer endings. Perhaps, speaking of Romeo and Juliet, the best way to explain my thoughts on this matter is with the following clip. Out of the entire last act the game, do you know which scene broke me down the most? “Forgive the insubordination, but your boyfriend has an order for you…come back alive.” And of course, that was the one objective the game had to go and make me fail oh so spectacularly. Now I’m in that bar in the sky drinking by myself and Garrus is…well, wherever he is, we’ll still dream of turian-human babies together. By now, you’re all probably sick and tired of the number of times I’ve extolled the joys of BioWare romances. But I do really enjoy them. I’m a romantic, but my favorite fictional stories always tend to be the ones featuring star-crossed lovers that end in tragedy. I’ll be the first to admit I may be screwed up, but to me it isn’t a great love story unless my heart feels like it was stabbed through with a dagger and torn out of my chest by the end of it. Why, yes, as a matter of fact, I did like Titanic. And Nicholas Sparks also has me eating out of his hand, so sue me. Sigh. It always comes down to love and romance for me. 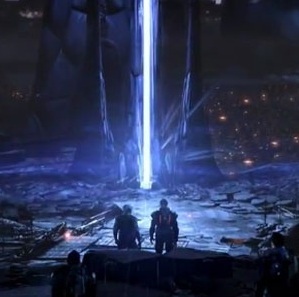 Out of everything that happened in the ending, that scene with Garrus is probably what I’m most torn up about. Even though it has so little to do directly with the final moments, looking back at it after I’ve completed the game still leaves me feeling gutted. Like completely gutted. Lying on a fishmonger’s block, G-U-T-T-E-D. Yeah, I kinda hate it. But then again, that’s also why I like it. Which just about sums up my views of the ME3 ending. Free character transfers are now available in Star Wars: The Old Republic, though only on select servers so far as they gradually roll out this doozy of an undertaking. My home of Sanctum of the Exalted turned out to be an origin server as BioWare dropped the bomb yesterday that we are all getting free transfer passes to Ebon Hawk. After a long period of debate (okay fine, it wasn’t that long and it wasn’t that much of a debate) our Republic Mercy Corps/Imperial Mercenary Corps guilds decided that What the hell, we’ll take it! Of course, no guild ever wants to be forced into a situation like this, but really, what can you do when your server will only continue to drain of players after such an announcement? And what a perfect storm of charlie foxtrot proportions it turned out to be at first, as population redistributions usually go, so I can’t really say I was surprised. Things came together relatively well in the end for the RMC/IMC, perhaps better than they could have gone, but it did take its toll. For a mercy, the character transfer process itself took only minutes to complete from start to finish. My characters all made it over just fine with their names intact, so I guess it pays sometimes to come up with weird-ish names for all your MMO characters. I was, however, prompted to rename my Legacy (everyone gets the opportunity) which turned out to be a bonus as I’d always wanted to change mine. My sympathies, however, to those who lost their character names. I really mean that. I can’t even imagine going more than half a year (or more, for my fellow betans) by one handle and then having to change it, as I become attached to names as strongly as I get attached to the characters themselves. At this point, I seriously question why all games can’t go the route of allowing you to choose any character name as long as you maintain a unique account handle (à la Star Trek Online, etc.) Or at the very least, I feel BioWare could have looked into releasing the names of inactive characters. After all, they are the ones who gave us all these tools to set up our personal legacies, they of all people should know names matter to players, they matter a lot. Add to that, we’re on an RP server, too. Ultimately, I understand how these disruptions became the last straw for many people, and it impacted our guild in more ways than anyone will ever know. Will the move be worth it? Only time will tell, but both the Republic and Imperial fleets were alive and hoppin’ last night. I even encountered a queue. A BLOODY QUEUE. In the words of a fellow guildie, it was like stepping into some bizarro SWTOR world where all the names are a little different and there are actually — *gasp! *– people around. Players are already reporting an easier time finding groups for hard modes and faster queues for PvP, so the initial headache may be outweighed by the benefits — if things stay this way. I’m feeling a little conflicted at this point. 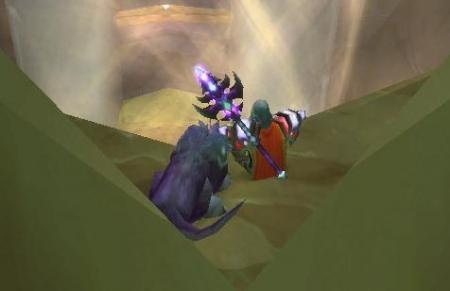 Have you or your guild been affected by free character transfers (yet)? Did BioWare do things right? As other gaming couples must know, love is about refraining from playing an MMO without your other half, never leaving them behind in experience and out-leveling their character without their express consent or knowledge. In fact, that’s a pretty surefire way to bring about spousal aggro in this house. As such, my husband and I have always maintained at least one character for the purposes of concurrent leveling in every MMO we play together, and lately it has become apparent that this spousal-leveling contract has been extended to game betas as well. I guess it will come as no surprise then, that we also played together for the Guild Wars 2 beta weekend. We started over with new human characters for this BWE; I made myself an Elementalist while my husband rolled a Guardian. We journeyed across Queensdale hitting up “heart tasks”, personal story missions, dynamic events and any other activity we came across along the way. We had a blast. 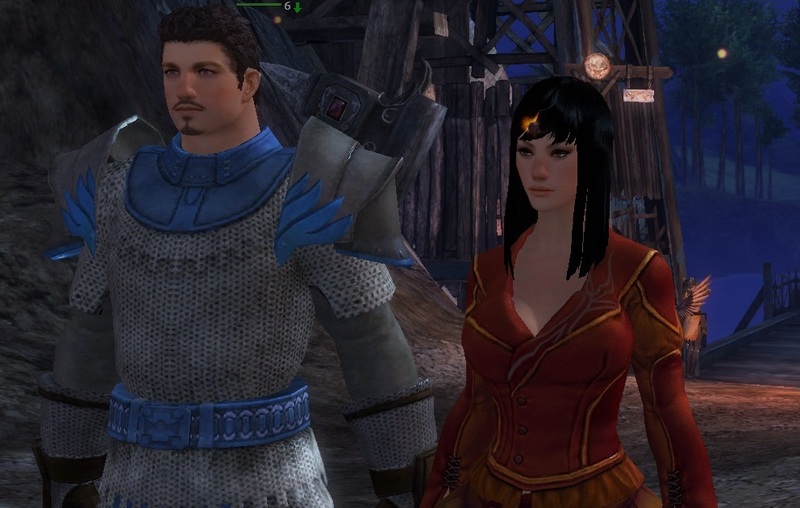 Something interesting that I want to bring up though: after several hours, I started to notice something — GW2 is the first MMO in which partying with my husband has felt “off”, and sometimes even downright awkward. I guess it’s not surprising, given what Arenanet has said about de-emphasizing grouping. Of course, this means that while partying is supported, it doesn’t feel as necessary as they do in other MMOs. Obviously there are lots of benefits to this. Gone are the days of kill stealing or competing tooth and nail for mobs in crowded areas, for instance. And yet, for someone like me who probably spends up to 90% of her MMO game time playing with at least one other person in the group, GW2’s brand of cooperative PvE takes some getting used to. For one thing, concurrent experience gain is much more unpredictable. For example, if I run around with a bunch of people during a dynamic event whacking at centaurs and killing them one after an other in quick succession, that gains me a lot more experience than my husband who is sitting off to the edge of the group whittling down a enemy’s health by himself. Likewise, while we’re both completing tasks for the denizens of Queensdale, my husband’s XP takes off because he’s killing worms while I prefer more passive tasks like feeding bags of oats to cows for their cute floating pink hearts. I don’t think I’ve ever seen two group members’ XP bars fluctuate so greatly while still doing the same things together. While our rates of experience gain tend to even out eventually, I have to say what still feels missing is the synergy between us. That’s the biggie, I think. One of my favorite things about always playing with my husband is the inevitable discovery of how our chosen classes simply click. I mostly PvE, and in playing within a structured group, a lot of the time I end up learning more about how my class plays by observing the abilities of others and seeing how my own can play off of them. A wonderful thing happens when the mister and I play together, just me and him; gradually we come up with unspoken strategies and somehow I know all his moves before he makes them and vice versa. I can see there will be less opportunity to do this in GW2, when there is little reason to attune to each other as most everything is done with every other player who is in the same area. The strange feeling of grouping in GW2 is just an intriguing observation that occurred to me this weekend, and is by no means a criticism. Really. Of course, the most enlightening moment for me is when the realization hit that we don’t actually even have to be partied up and the little difference it would make! We still did though, if for no other reason but the fact it’s easier to see where each other are on the mini-map. It would be interesting to see what other gaming couples or people who frequently group together will make of the GW2 duo-ing experience. I think leastwise, it adds a new dynamic. 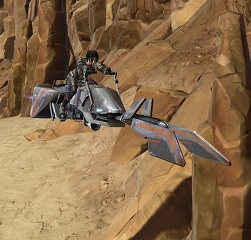 You are currently browsing the MMO Gamer Chick blog archives for June, 2012.